We are excited we are taking part in Seedhack 4.0, Seedcamp hack event that will take place in Central Working at Google Campus in the heart of East London’s Tech City. Remixing Content is the theme of this event, so we thought Imagga APIs are perfect match for the nerds to play and mess up specially with our specialty – images. This spring we partnered Seedchack 3.0 aiming at fashion. 11 out of 21 teams requested access to Imagga APIs, 3 teams ended up trying it and one team got it’s hands dirty and implemented Imagga Color API into a project called Colourtag.me – a slick and easy way to discovery what colors fits you. 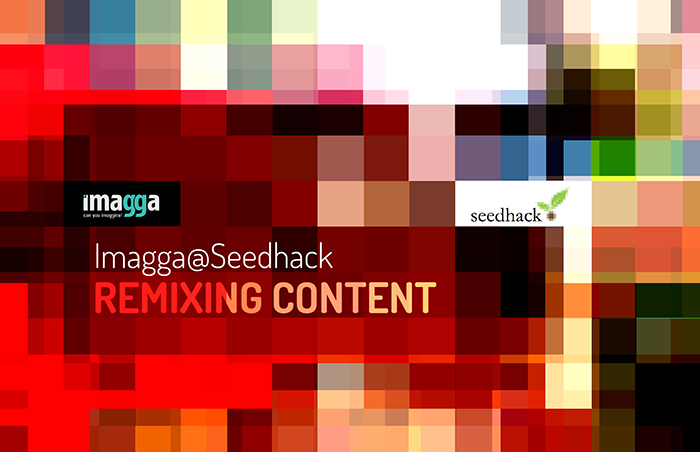 The Seedhack experience is awesome. The idea behind the event is not just to have fun and play with exciting new technologies, but since Seedcamp is organizing it, there is great chance if you have a nice idea, form and manage a good team, and execute well, to get scored and get even funded. That’s we call startup fun and that can actually turn into some serious business. works great with personal mobile image collections – we snap lots of photos but non of the mobile platforms provide an easy and working way to organize these photos without spending days tagging or putting them in albums. When was the last time you did an album on your iPhone? you can use it to distinguish between product and complex scenes. Let say you want to hack IKEA website and need to get just the product photos but not the room setups. If you happen to be in London during this weekend and mixing content is something you what to try, do apply as the available spots are few. We will be more than happy to meet you in person and guide you through the opportunities Imagga APIs can offer.